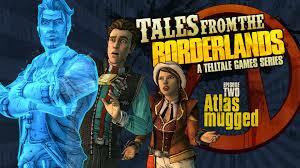 I am beyond happy to hear that Tales from the Borderlands Episode 2 is finally about to make its way on to my Xbox. It feels like a long long time ago since I played Episode 1 and I may find myself needing something of a recap of previous events before I get stuck back in. However, I’m sure that once I start the game up it will feel like no time has passed at all. As an overall fan of the Borderlands series of games, Tales from the Borderlands Episode 1 was such an enjoyable experience for me and I found myself to be very impressed with the game, particularly with all the little nods towards elements of previous borderlands games. Hopefully Episode 2 will live up to all my expectations. Buying the season pass before you’ve even played the first episode is always a gamble but with any luck it will be a gamble that pays off for this little duck.